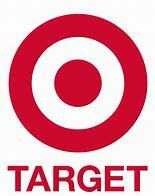 Now through November 17, Target is offering a free $15 Target Gift Card with a $75 Baby Department Purchase. You can find this coupon in their weekly ad or the Target App under the your Mobile Wallet section. You can also shop online with no promo code needed, but it looks like you need to use order pick up or Target Restock. This deal includes wipes, bottles, diapers and training pants and baby toiletries. This is great time to stock up.